The Mentalist is an American police procedural television series that debuted on September 23, 2008, on CBS. The show was created by Bruno Heller, who is also its executive producer. The show follows former "psychic" Patrick Jane (Simon Baker), who is a consultant to the fictional California Bureau of Investigation (CBI), using the highly developed observational skills he previously employed to "read" people's minds. The show's fifth season premiered on September 30, 2012. 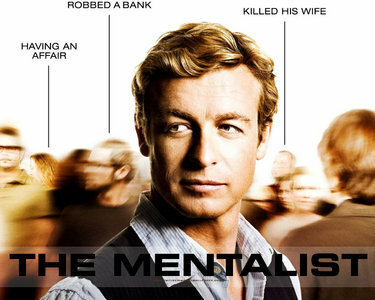 The Mentalist follows Patrick Jane, an independent consultant for the fictional California Bureau of Investigation (CBI) based in Sacramento, California. Although not an officer of the law, he uses skills from his former career as a successful, yet knowingly and admittedly fraudulent psychic medium to help a team of CBI agents solve various crimes. The ultimate goal of Patrick Jane and his cooperation with the CBI is to track down the killer known as "Red John," who was responsible for the brutal murders of Patrick's wife and daughter. Jane formerly had a lucrative career as a con man, successfully posing as a psychic medium and enjoying near-celebrity status. Five years before the events in the show's pilot episode, he appeared on television to claim that his paranormal abilities helped the police profile a serial killer named Red John. Red John, angered by the perceived slight, murdered Jane's wife and young daughter in revenge. Jane subsequently abandoned his job as a psychic and teamed with the CBI, using his skills to help them solve various crimes. His main focus is on the cases involving Red John or Red John copycats. He admits to faking the supernatural aspects of his skills, often asserting that "there's no such thing as psychics," yet he has finely honed skills in cold reading, hypnotism, and pickpocketing, as well as powerful observational skill and a deep insight into the human psyche and behavior.